I would like to thank Padraig for hosting us on a walk around his farm. Considering the weather we had at least twice the number of people I had expected to turn out. Yes it was typical Irish weather, I think we had nearly everything bar snow. In saying that between Padraig and Dave we all had a very interesting time. Padraig took the time to explain some of the work he is doing to encourage wildlife (hedgerows, feeders, ponds etc). Although part of the walk was submerged, we got a good view of the work he has carried out and an invitation to return at a later date. Unfortunately with the day that was in it most of the wildlife had gone to ground. That’s not to say that we had a leisurely stroll with nothing to do. 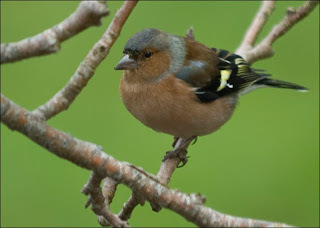 Swans, Ducks, Geese, Kestrel and Sparrow hawks were spotted along with a verity of smaller birds. 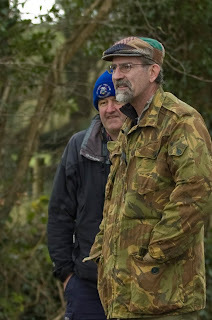 Dave Watson entertained us with a selection of interesting facts and pointers regarding the various birds we spotted. He also pointed out the various nest boxes around the area and gave us some information on field glasses. To be honest between Padraig and Dave they have managed to show me how little I know about the life that surrounds me. Most of us go about our daily routine without opening our eyes. I will look forward to the next outing and hope to learn a little more. I would like to once again thank Dave on behalf of the Roscommon Birdwatch committee and those who made the effort to come out on a cold, wet blustery day. To those who attended Thank You, I hope you enjoyed it as much as I.